Each year over 1,000 people of all ages gather at Stargazing Oxford as they seek to explore the wonders of the Universe. Join us again for a space-themed open day in the Department of Physics. 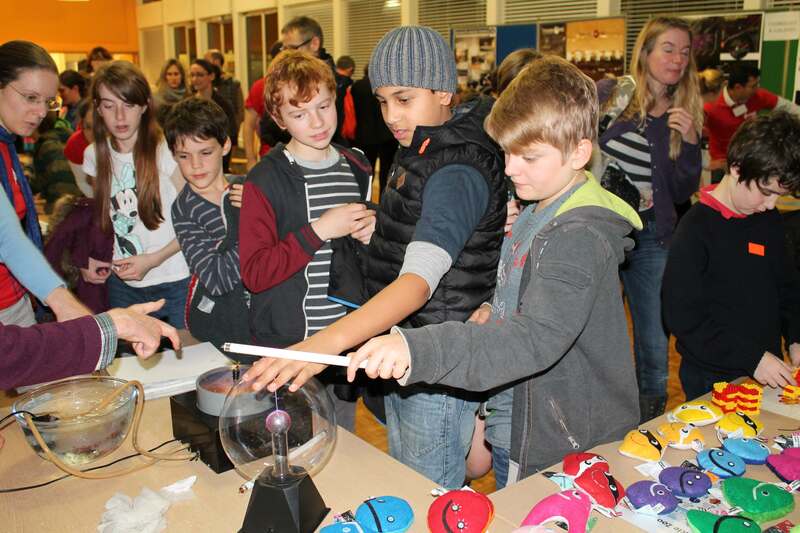 Activties include talks, hands-on stalls and observing (night-sky, solar and radio). Our friendly astronomers will be on hand to answer all your questions including: “What constellations can you see in the night sky this month?”, “Why do stars explode?”, “Is there life on other planets?” and “What happened at the very beginning of the universe?”. Rain or shine, there will be plenty of astronomy to immerse yourself in. Science cafe: Talk to our researchers and explore space science through hands-on stalls and activities. Virtual reality: Be guided through the amazing multi-coloured Universe in our immersive VR experience (NEW). Planetary science: Explore the planets in our solar system and find out how we can discover many more planets outside of it. Radio observing: Find neutral hydrogen in the Milky Way through remote observation with the Roswitha Wetton telescope, which is located on the roof of the DWB (NEW). Constellation installation: Take a journey through a constellation with this three dimensional installation of Orion (NEW). Flash talks: Listen to bite-sized flash talks on a wide range of fascinating topics covering the latest research in astronomy and astrophysics. Talk titles and times below. Observing advice: You can also get some hints and tips about star-gazing at home, with workshops run by local experts from Oxfordshire amateur astronomy groups and the University physics department. Star shows: Tours of the night sky in the inflatable planetarium. An opportunities to observe the night sky with local experts from Oxfordshire amateur astronomy groups with a range of telescopes. This activity will finish at 8pm if no breaks in the clouds are foretasted. We will keep you updated here. Booking: This is a drop-in festival style event. No booking is required but we ask groups of 10+ to contact us in advance. Talks, workshops and the planetarium will be taking place every hour. Observing will take place after dark only. As in previous years, the number of guests we can accommodate in the building at any given time is limited, so you may have to queue outside on our covered walkway. You won’t be bored as there will be plenty of scientists outside too, entertaining you while you wait. Disabled visitors: There is limited access for disabled visitors. Please contact us for more information or to discuss your needs. Prams and buggies: We will have space near reception for buggies to be stored during your visit. Refreshments: Light refreshments will be available to buy from the canteen. Parking: There is no parking available on site. There may be some pay and display parking on Keble Road and Norham Gardens, but we recommend you use Oxford Park and Ride if you are traveling from outside Oxford.